Ante porta – we have decided to name our hotel “ante porta” because of our proximity to the Porta Nigra, Trier’s ancient city gate and important landmark of our town. Bar – enjoy a choice of alcoholic and non-alcoholic beverages in our small bar. Charm – enjoy the unique, fresh charm of our hotel and its tasteful interior design. Dogs – we like dogs, but out of consideration for our other guests and for hygienic reasons, pets are not allowed. Fresh fruit and delicious pastries – these are just a few of the things you can find at our breakfast buffet (07.00 – 10.00 a.m. on weekdays, 07.30 – 10.30 a.m. on weekends). Guests – Our guests are extremely important to us; we hope that you can tell from the care we take to make your stay as pleasant as possible. 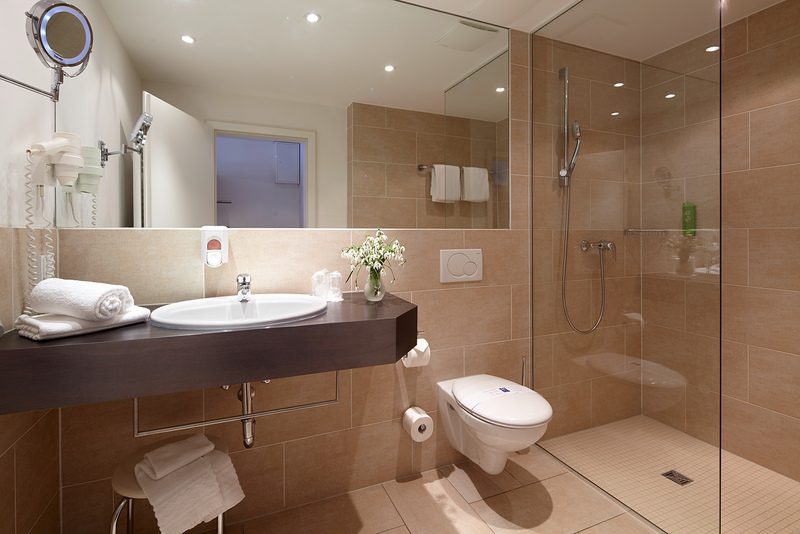 Hygiene – we take great care to maintain high hygienic standards in all areas of our hotel. Internet – all of our hotel rooms offer free internet access (W-LAN). Jade-green – this is the basic color you can find in all areas of our hotel. Kids – kids are welcome guests in our hotel. This is why we offer a baby bed free of charge during your stay in our hotel.